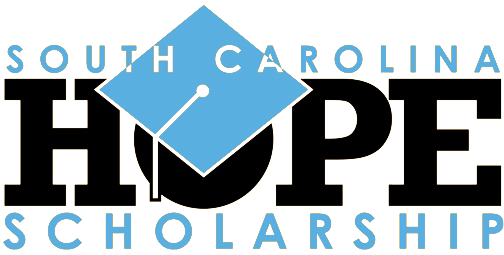 The South Carolina HOPE Scholarship Program was established in 2001 and was implemented during the 2002-03 academic year. It is a merit-based award designed for first-time entering freshmen attending four-year institutions who do not meet the qualifications for the Palmetto Fellows Scholarship or the LIFE Scholarship. Since its inception, the SC HOPE Scholarship Program has served as an entry scholarship that has allowed students to attend a four year institution in this state and receive funding for a year, before moving on to the LIFE Scholarship. Up to $2,800 (including book allowance) for the first academic year toward the cost of attendance at an eligible four-year institution in South Carolina. At the end of the SC HOPE recipient’s first year at an eligible institution, if he/she has earned at least a 3.0 GPA and earned a minimum of 30 credit hours, the student will be eligible to receive the LIFE Scholarship for their second year of attendance. GPA based on the SC Uniform Grading Policy. Not be a recipient of the LIFE, Palmetto Fellows or Lottery Tuition Assistance awards. Earn at least a 3.0 LIFE GPA. Earn at least 30 credit hours by the end of their first academic year. *this must be determined at the time of high school graduation. Note: There is no application required for the SC HOPE Scholarship. The eligible institution will notify students if they qualify.